With the change in weather and the central heating being switched back on, already there is a change in my skin, and with the winter months on our doorstep it is going to get worse. Looking at skincare routines not just for myself but for the whole family is important as skin gets drier. The kids and i have always been prone to dry skin patches and patches of eczema so I am always mindful to have creams in to help soothe and moisturize. As most parents will agree baby wipes do not stop at babies! They become as staple of every household for years to come, mop ups after dinner, messy hands from ice cream or sorting a graze or bump! 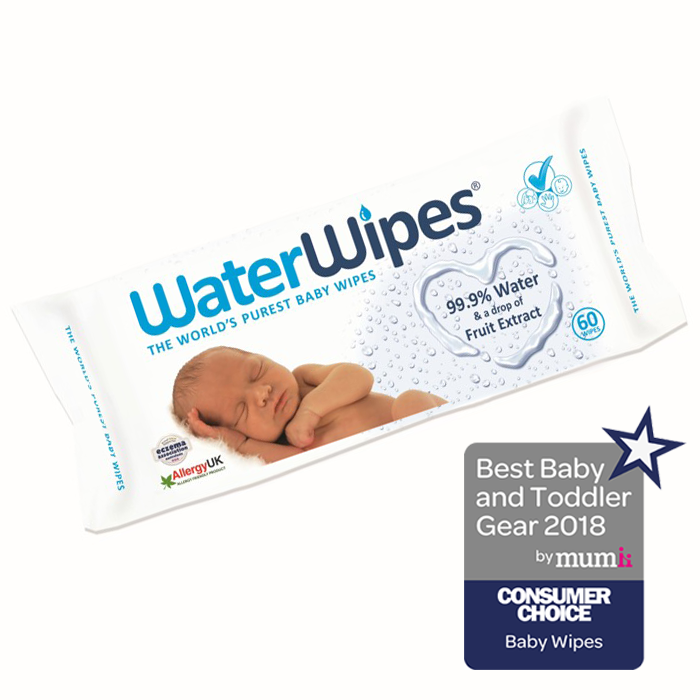 I have recently been trying out some water wipes which are 99.9% water with just a drop of fruit extract, making them the purest baby wipe around. They are pure, gentle and safe for even the most sensitive and delicate skin. The difference I have noticed when I use them to remove make up is my skin remains moisturised and not dried out as can do with some brands of baby wipes. Knowing that I am happy to use around the kids faces and confident it will not create any dry patches. I am sure the difference this would make on delicate babies bottoms who are prone to nappy rash is going to be a huge relief for parents, as we all know the cry of pain when trying to clean up a dirty nappy when the poor baby has nappy rash. 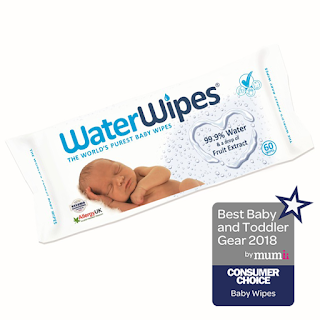 These wipes are effective and suitable even for premature babies because they are so pure. As well as using a gentler approach to cleansing we have been trying out a new moisturiser that repairs and restores dry skin, Dermalex repair and restore is an ultra hydrating moisturiser for dry and very dry skin, and aims to strengthen the skin barrier and increasing days without eczema by 50%. 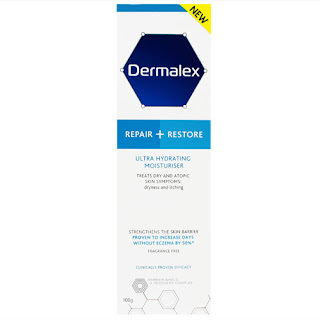 This is a huge benefit as the weather is taking a turn and resulting in dry skin problems like eczema flaring up. We have found our skin is in fact feeling more moisturised and as yet we have to experience any flare ups of eczema. 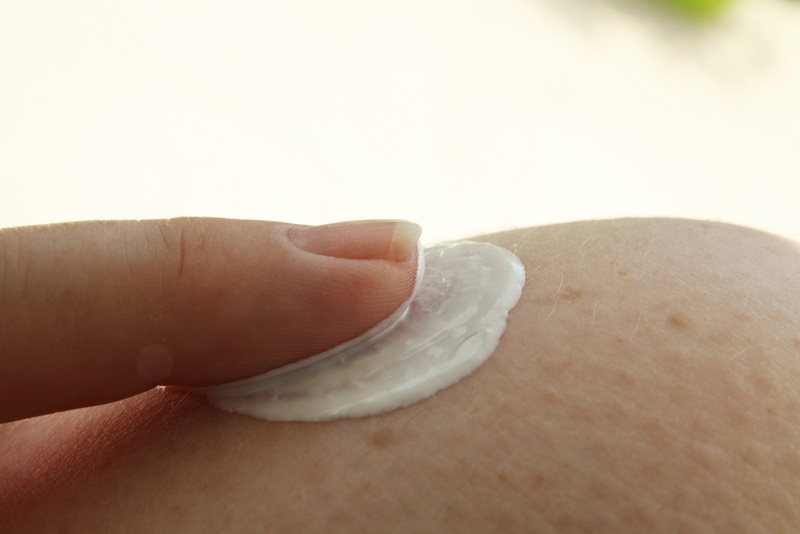 Anyone who suffers or has children who suffer with eczema will appreciate the calm that comes when it is under control and dread the restless nights and discomfort when a flare up occurs. I am hoping that continued use of this cream will keep us all moisturised and reduce eczema outbreaks during the winter months. So for peace of mind and calm moisturised skin for the whole family from birth up be sure to check out these products for yourselves because calm, happy skin equals calm, happy baby and mum!